(Apr. 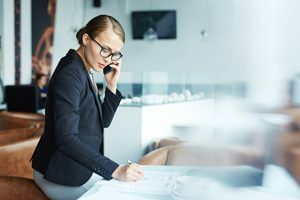 10, 2019, Rye, NY) – The ninth annual Hearts & Wallets national customer satisfaction rating reveals Top Performer financial services firms and identifies top consumer wants for firms and financial professionals in a new report by Hearts & Wallets, the source for retail investor data and insights. Over 5,000 U.S. households rate their top two financial providers on service and pricing performance in the Wants & Pricing: How Top Performers Crack the Code to Get Customer Wants Right report. The ratings cover 27 attributes for five key service dimensions and three pricing dimensions. The report focuses on top-level national annual satisfaction ratings for the top 21 providers, leading brokers, banks and retirement platforms cited most often by their customers. The report also analyzes how consumers perceive value in relation to pricing, the prices they believe they are paying, and how well they understand how providers earn money. The Hearts & Wallets Investor Quantitative™ Database is recognized as the largest single dataset on U.S. retail consumer attitudes, behaviors and buying patterns with over 45,000 U.S. households. Proven over nine years, the Wants & Pricing Top Performers methodology offers a useful guide to firm performance on what customers value. To earn the Top Performer designation, firms must receive ratings from their customers distinctively higher than ratings that customers of other firms gave to their firms (see methodology at the end of this release for more information). Each firm included must have sufficient sample size to be considered as a Top Performer. Customers rate their firms on wants that are most important to them. Top Performers are then designated on the two most important “Wants from Firm” from each of the five service dimensions. The report focuses on top-level national ratings because they are most comprehensive and provide an easy-to-understand overview. The report ratings encompass all customer account types and are weighted to national assets and age to be comparable across stores and years. Ratings from specific customer account types, such as brokerage customers, retirement plan participants, or personas such as women who value advice, may differ from national ratings and are available in the Hearts & Wallets IQ Dataminer interactive software. Fees remain top of mind for consumers. The top want for consumers is “fees are clear and understandable,” at 57% of all consumers nationally in 2018, up 9 percentage points since 2013. Reasonable and low fees are also important for consumers, who also want firms to “explain things in understandable terms” at 53%, up 8 percentage points at the national level. Most frequent consumer wants for financial professionals include being open and honest about fees, responsiveness and patience. Expectations increase for more affluent consumers who are directly paying financial professionals. Young consumers have high expectations for advice that they perceive as being “free,” where the financial professional fee is not direct reflected (such as phone-based mutual fund company, online brokerage representative or bank representative). “Understands me and shares my values” – Ameriprise Financial* (NYSE: AMP), Edward Jones*, Morgan Stanley (NYSE: MS), USAA* and Wells Fargo Advisors (NYSE: WFC) are Top Performers. PNC (NYSE: PNC) is most improved. “Offers personal financial advice” – Edward Jones* is Top Performer. Edward Jones and Vanguard are most improved. “Investment ideas knowledgeable, timely and tactical” – Ameriprise*, Charles Schwab* (NASDAQ: SCHW), Edward Jones*, and Morgan Stanley* are Top Performers. Ameriprise is most improved. “Fees are clear and understandable” – No Top Performer. Prudential is most improved. Understand “very well” how the firm earns money (9 or 10 on 10-point scale) (pricing measurement) – Charles Schwab, E*Trade, Morgan Stanley, TD Ameritrade are Top Performers. Most Improved are JP Morgan Chase (NYSE: JPM), Morgan Stanley, TIAA and USAA. Wants & Pricing is drawn from the section of the Hearts & Wallets Investor Quantitative Database (IQ Database) that analyzes consumer service dimensions, the price-value dynamic and captures customer satisfaction ratings of the 21 big banks, brokerages, employer and mutual fund firms cited most often by over 5,000 IQ Database participants. To be cited as a Top Performer, firms must receive ratings from their customers that distinctively higher than ratings that customers of other firms gave to their firms. Most improved providers from the prior year are also rated significantly higher by their customers than they were the prior year. When Clients Ask: Where Will My Retirement Income Come From?